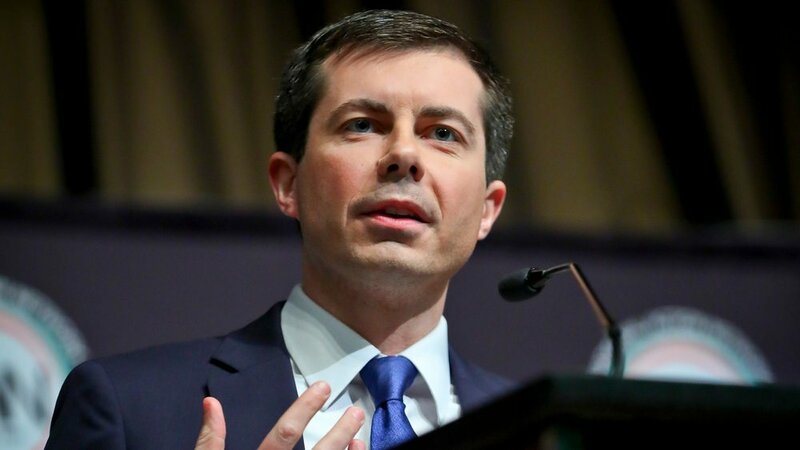 On Sunday, South Bend Mayor and 2020 presidential hopeful, Pete Buttigieg (D-IN) called out the â€œMike Pencesâ€� of the world for not accepting the sexual orientation of LGBTQ individuals. Buttigieg, in his speech to the LGBTQ Victory Fund, talked about his struggles as a gay man and how his sexual orientation was not a choice. Who the heck is Pete Buttigieg? Pete Buttigieg is a two term mayor of South Bend, IN and an Afghanistan war veteran. Buttigieg came out as openly gay in 2015, prior to his re-election campaign, and shortly after returning from Afghanistan. A Rhodes Scholar at Oxford and a graduate of Harvard, Buttigieg worked as a consultant at McKinsey & Co. prior to joining the U.S. Navy Reserve and then eventually entering politics. Labeled the "Most Interesting Mayor," he plays three instruments and speaks eight languages. The Daily Caller: Why does Pete Buttigieg think Mike Pence has a â€˜problemâ€™ with him being gay? Washington Examiner: Pence on Buttigiegâ€™s straw man attacks: What gives old pal? The right focuses on defending Pence in light of Buttigiegâ€™s statements. They claim that Buttigieg has pushed a narrative that Pence has a crusade against him because Buttigieg is gay. The right also quotes a tweet from Richard Grenall, who is the current U.S. Ambassador to Germany and openly gay, defending Mike Pence. CBS: Buttigieg challenges Pence on LGBTQ rights: "Your quarrel is with my creator"
The left presents a very neutral account of Pete Buttigiegâ€™s comments regarding the VP. They quote Buttigiegâ€™s statements and highlight the main points he was trying to convey. The left also emphasizes the broader message regarding LGBTQ rights in Buttigiegâ€™s speech, rather than focusing solely on his criticism of Pence. There is no common ground between the right and left outlets on this topic. The left presents Buttigiegâ€™s statements without including a larger narrative. The right is focused on defending Pence and asserting that Buttigiegâ€™s comments are an attempt to bolster his 2020 presidential bid.